Alex Rodriguez’s injury, a nondisplaced, fractured left 5th metacarpal, generally heals with 4 weeks of splinting. This description means that the bone between the wrist and little finger is broken in two and is well-aligned. 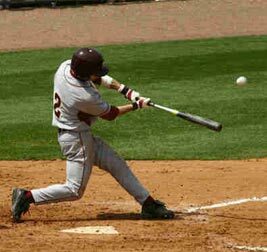 In order to allow for sufficient new bone formation to withstand the stresses of batting, running, and playing third base, an additional 2-4 weeks on the disabled list is likely. Deconditioning above the hand can be minimized by physical therapy. When bone-healing is adequate, exercises for the small, intrinsic muscles of the hand can proceed. Meanwhile, well-supervised exercises for his fingers will eliminate stiffness and reduce swelling.